Africa is the world’s youngest continent, and it’s only getting younger. 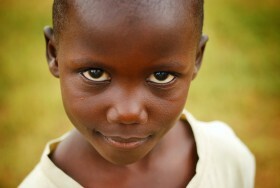 Based on a report completed by the World Bank, 42.6% of Sub-Saharan Africa’s total population is children aged up to 14. Children who are not even old enough to work in the United States make up over 40% of the population of Sub-Saharan Africa. Though some countries in Africa have seen improvement in infant mortality rates and life expectancies in the past decade, the statistics are still grim. In Democratic Republic of Congo, 12 out of 100 children die before their first birthdays, and unlike Kenya, in the past 20 years, the infant mortality rate has actually grown in DRC. In Chad, 21 out of 100 children die before their fifth birthday. While it is impossible to pinpoint an exact cause of death for these African children, factors at play are malnutrition, war, malaria, and HIV/AIDS. While HIV/AIDS can account for 5% of deaths in children under the age of five in Africa, over 15 million children have been orphaned by AIDS. Without families to care for these orphaned children, they are at a higher risk for becoming child laborers and child soldiers. Malnutrition is a serious concern for children who live in Africa. In Sub-Saharan Africa specifically, one out of every five children is underweight and 39% of children’s growth has been stunted. The typical diet of an African child consists of cassava, rice, yam and millet. Lack of nutritious food makes a child more vulnerable to diseases and less able to function to their best abilities. In addition to the obstacles that African children face with malnutrition, HIV/AIDS, malaria and over all poverty, education introduces yet another challenge. While Africa is the world’s youngest continent, as a whole the children do not attend school at as high of a frequency as other continents. Of the global population of children who do not attend school, almost 50% of them live in Sub-Saharan Africa. Even fewer girls attend school than boys. Almost 12 million girls in Sub-Saharan Africa will never set foot into a school house. Without education, there are fewer opportunities for children to better their lives. One of the causes of the lack of education for children is the high rate of child labor in the same region. In Sub-Saharan Africa, 32% of children aged 5-14 are involved in labor. The labor that they are involved in not only keeps them out of school, but also exposes them to harsh realities at young ages. International adoption is not the solution to the greater issues of disease, child-labor, malnutrition and infant mortality rates, but it does make the difference in the life of one child. In partnership with other methods, international adoption helps raise awareness for the great need for improved medical care and defense of children globally and in Africa specifically. If you are interested in learning more about how your family could make the difference in the lives of children in Africa, the Global Orphan Foundation could be a great place to start. 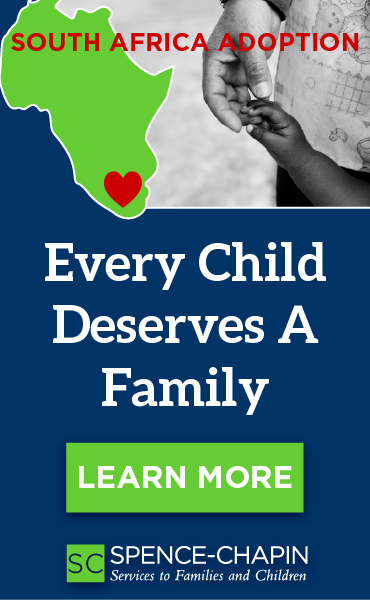 If your family is interested in adopting from Africa, MLJ Adoptions has introduced the Burkina Faso international adoption program. Burkina Faso is a Hague Convention country meaning the international adoption process is likely to be more stable and predictable. Families adopting from Burkina Faso will know that they are serving some of the world’s most vulnerable children. *Statistics and information for this blog was taken from excerpts of Stephanie Busari and Teo Kermeliotis’ article entitled, In numbers: Pains and gains of the young, published on June 14, 2012 on CNN World.